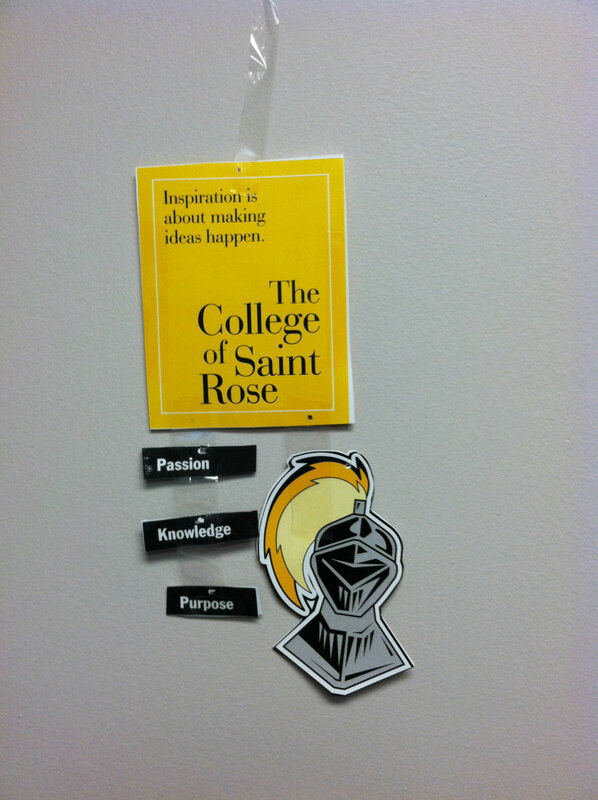 That’s right, we have a Pinterest page for The College of Saint Rose! Not only do we have a Pinterest, but we want YOU to contribute to it! (And by “you” we mean everyone- students, staff, faculty, alumni, community members…everyone!) 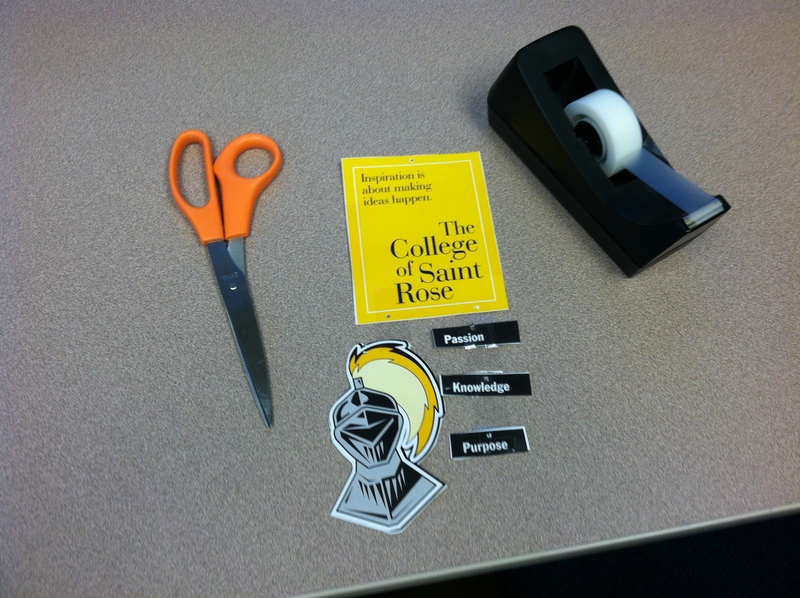 We’re asking you to show off your Golden Knights spirit this season, in turn you could win a gift bundle: a gift card to the campus bookstore, a Saint Rose blanket, sticker, and Fear air freshener. How? Click here to view and print the holiday ornament. You will need scissors, tape, and string. Assemble your ornament. Please note: if you put the two sheets of paper back-to-back, the images will align and you can cut them at the same time. Even better– if you print double-sided you can just cut away and also save a piece of paper. Take a picture of your ornament and send it to social@strose.edu by Sunday, December 2, 2012 at 11:59 p.m. We will place entries in a special Golden Knights ornament board on our Pinterest page for voting December 3-10 (ending at 9 a.m. on Dec. 10). Please submit one photo. How to win: the three entries with the most Pinterest re-pins by Monday, December 10, 2012 at 9 a.m. will be selected as winners. All three winners will receive a Saint Rose blanket, sticker, and air freshener. The third place winner will get a $25 gift card to the campus bookstore, second place will win a $50 gift card, and first place will win a $100 gift card. Don’t forget! Ornament photo entries due to social@strose.edu by December 2. 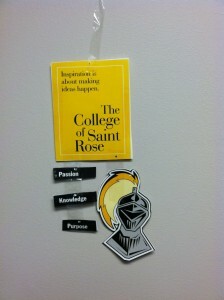 Can’t wait to see your Golden Knights spirit! ← So, you want to change your major….